A1 Glass & Glazing Brighton manufactures and supplies stylish bespoke skylights made to measure to your specific requirements. We use the highest quality materials to deliver attractive skylight designs that are truly fit for purpose. Our roof windows are made to provide outstanding thermal performance alongside their stunning aesthetic qualities. Explore our bespoke, made-to-measure glass skylights by contacting A1 Glass and Glazing today. All of our roof skylights, and roof lights are manufactured in-house in Brighton and offered with a full warranty. A1 also offers some of the fastest job completion times in the industry, with the vast majority of our products ordered, supplied and installed within just 14 days! If you rely on artificial lighting during the day, installing a glass skylight will be extremely beneficial to you. Its ability to increase light into your home ensures you won’t need to rely on your artificial lights, helping you to reduce your electricity bills. It also has the ability to ensure your energy consumption is significantly reduced due to its thermal efficiency properties. It’s a well-known fact that increasing your vitamin D intake is beneficial for your health. With the addition of a glass skylight into your home or workplace, it is even easier to take a step towards being healthier. 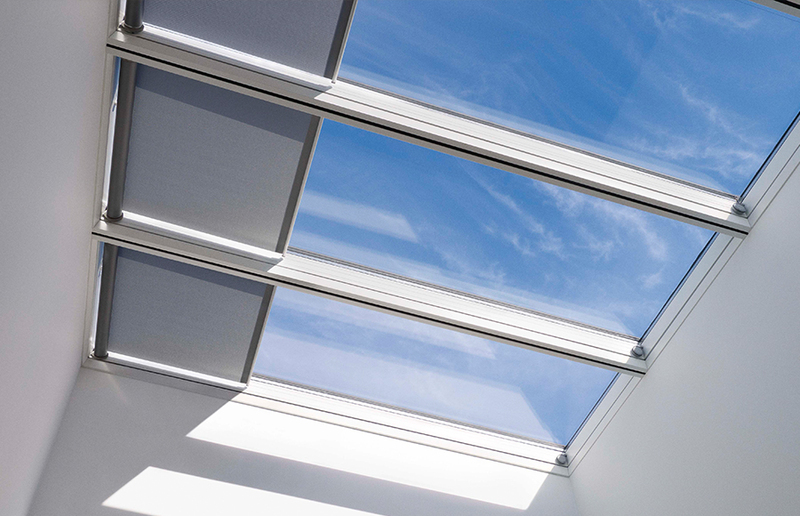 Poor lighting can cause tiredness and other illnesses, however, installing a glass skylight will help lift moods and productivity. Small rooms can look dark and unwelcoming. However, with a skylight, ample amounts of natural light are able to enter your home, ensuring it is kept bright every day. This comes with the added benefit of creating the illusion of more space. 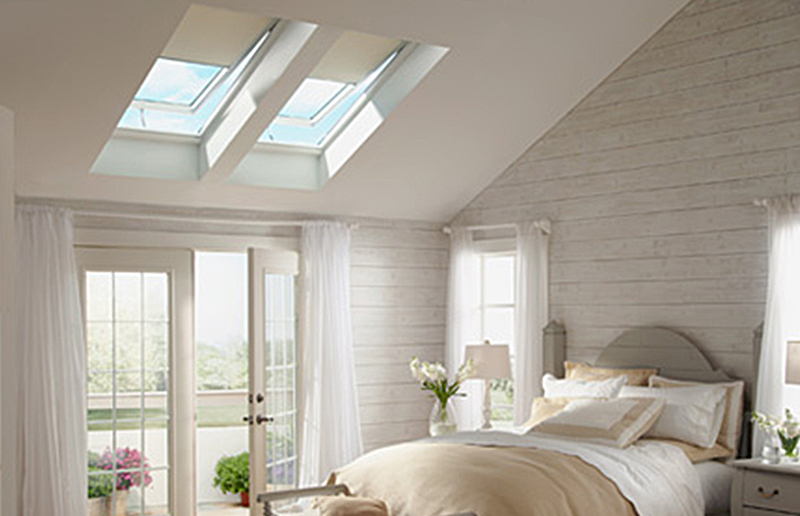 The glass skylight is the perfect option for those looking to increase their room size, without the heavy cost. Increasing airflow into East Sussex properties is an important aspect of making them feel comfortable and spacious. This is why the glass skylights available offer the option of opening outwards to ensure it creates a steady flow of air. This lets any unwanted heat escape, replacing it with cool, fresh air. It also eliminates the risk of mould and damp spots from growing. We understand that each home is different, which is why we offer a range of customisation options for you to personalise your glass skylight. You can choose from a wide range of panels, glass options and colours to ensure your glass skylight fits the aesthetics of your home. We guarantee that the colours and finishes won’t rot, warp or discolour over time, meaning you won’t have to treat them. We know that you don’t want to spend all your spare time cleaning, which is why our glass skylights are designed and manufactured to be easy to clean and low maintenance. With sporadic cleaning needed, it is quick and easy to ensure your glass skylight is kept looking brand new. The glass panels are guaranteed not to stain, which means you won’t have to spend too long scrubbing them. Unlike doors and windows, installing a glass skylight on to your roof ensures you won’t have prying eyes looking inside your home. The customisation options available ensure you can choose the perfect combination to suit your privacy needs. The glass skylight combines the ability to enhance natural light with the added benefit of ensuring your Brighton or Sussex property is protected. Installing a glass skylight into your property expertly combines form and function to provide the perfect product. Its ability to enhance the natural aesthetics of your property whilst increasing the natural light makes it the perfect investment. We can guarantee that you will find the perfect glass skylight and roof window for your home or office building with our range of customisation options available. Choosing from the variety of colours and finishes, including frames, ensures your glass skylight fits in with the aesthetics of your surroundings. Each skylight is installed by a team of experts who draw on years of experience in the industry, giving you a service that is reliable and professional. They are available throughout the process to ensure your order is fitted perfectly. Glass skylights and roof windows come in all shapes and sizes, including a variety of colours and finishes. Therefore, the price of each will vary depending on your desired product. To find out how much your dream glass skylight will be, give us a call and one of our highly qualified members of staff will be on hand to help you find the best quote. Or alternatively, use our online form to send us an email and we will be in touch as soon as possible. Don’t forget to factor in all the options available to you to ensure a quote that is true to your chosen product.